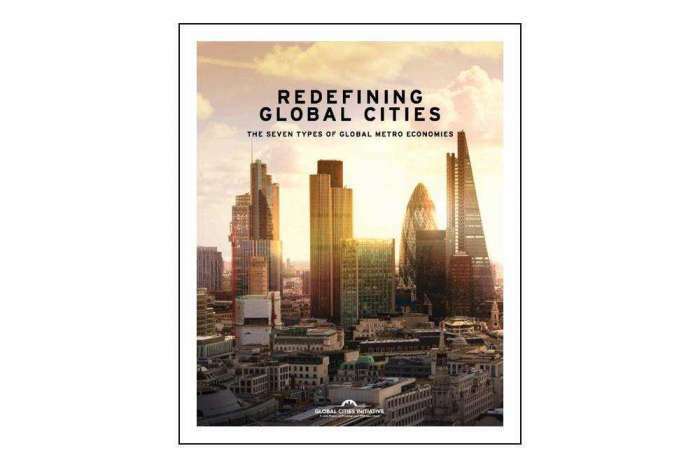 The authors then used a competitiveness profile, based on such factors as economic growth, innovation, talent, and connectivity, to rank the cities within each group. The interactive maps on the site are excellent. For instance, you can rank the nineteen cities within the Knowledge Capitals by "University research impact." 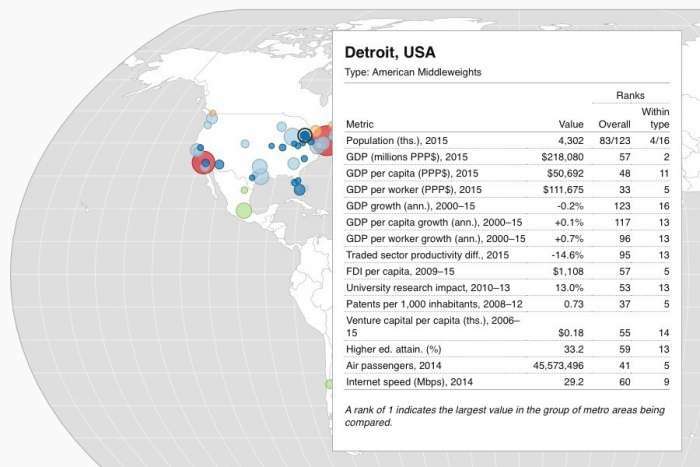 Additionally, you can use the interactive maps to focus on a particular city and see how it ranks overall (world) and within its group (type) regarding each competitive measure. The full report is available as a pdf download. I was particularly interested in the Knowledge Capitals and the American Middleweights and the comments that the authors made regarding scientific research in these areas. Scientific research tends to translate to new inventions in these regions, which have the highest average rates of patenting in the world. With only about 1 percent of the world’s population, Knowledge Capitals generated 16 percent of global patents between 2008 and 2012; shares were even higher in information technology (22 percent) and life sciences (19 percent). Led by San Jose, San Francisco, and Boston, Knowledge Capitals also have, by far, the highest venture capital investment rates per capita in the world. More than half of all global venture capital funding owed to these 19 markets over the past decade. American Middleweights have assets, however. They house well-regarded research universities. 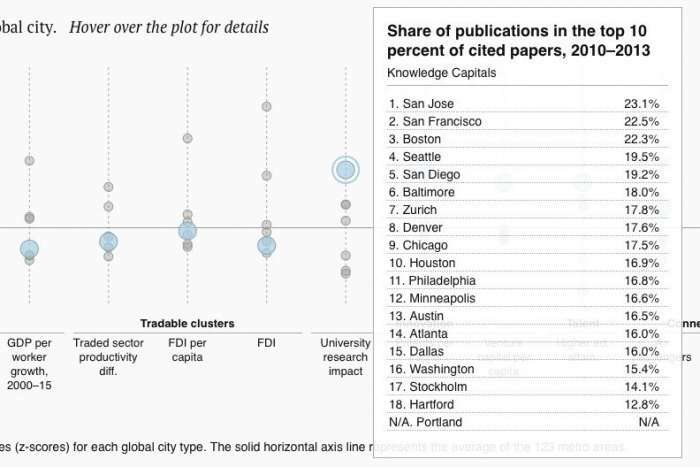 Cities in this group ranked third among all other groups in the share of scientific publications in the top 10 percent of most-cited academic journals. Additionally, one-third of the working-age population in these markets boasts a tertiary degree, ranking it fourth among all groups. The combination of a highly skilled labor force and world-class research universities is also strengthened by venture capital per capita, an indicator on which American Middleweights ranked third among all their peers. 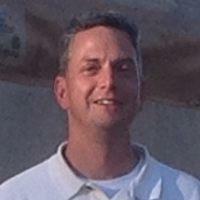 Spend some time with the interactive maps even if you don't have time to read the full report.